Discussion in 'Tutorials and How Tos' started by Jarrod, Jun 16, 2011.
http://www.tfw2005.com/boards/tutorials-how-tos/646924-masterpiece-prowl-how-i-build-jarrod.html. I think I've done a pretty thorough job of documenting the whole process. I've gotten numerous requests on how I go about building stuff, what tools I use, where to get stuff, etc. So, I figure this is the perfect opportunity to showcase that all. I could choose between a Tamiya 1/24 Tamiya 280ZX, or the above mentioned kit. 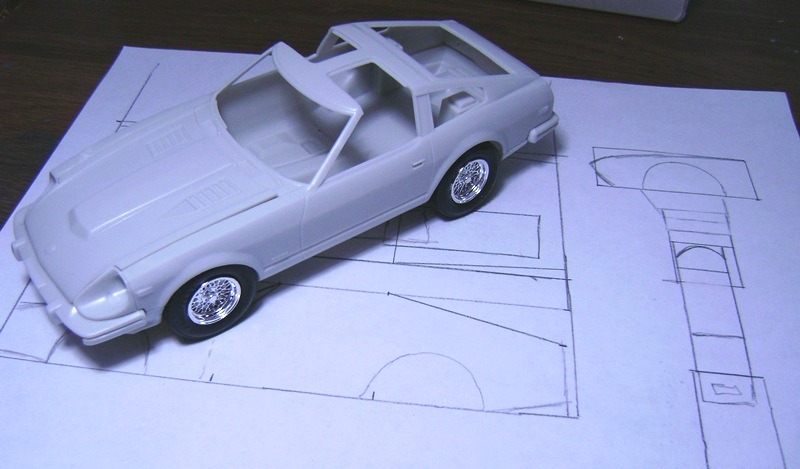 Tamiya's kits are of exceptional quality, and it was in my preferred 1/24 scale, but it was the wrong model car. There are some minor differences between the non-Turbo and Turbo, most notably the hood vents. In the end, I felt the proper model car was more important than the (ever so slight) difference in scale and the slightly lower quality of kit. I'm using this kit for numerous reasons. Foremost is probably the nearly fully articulated hands! There's lots of Gundam kits with those, however this kit (and the RX-78-2, by default) has such fantastic, generic, blocky arms and upper legs. They transition easily into Transformer limbs with just the proper outer details added. This kit is also very sturdy, nearly all the joints use ABS on ABS plastic versus polycaps (*see later) for stronger joints that won't sag over time. And up top, various styles of specialty knife blades. 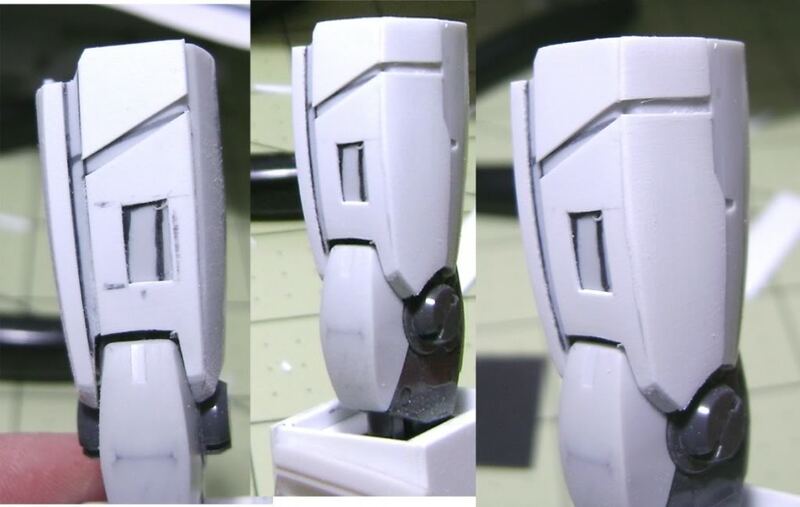 I wanted the upper legs to collapse into the lower legs like the G1 toy. It'll give much needed height in robot mode, but a compact car mode. 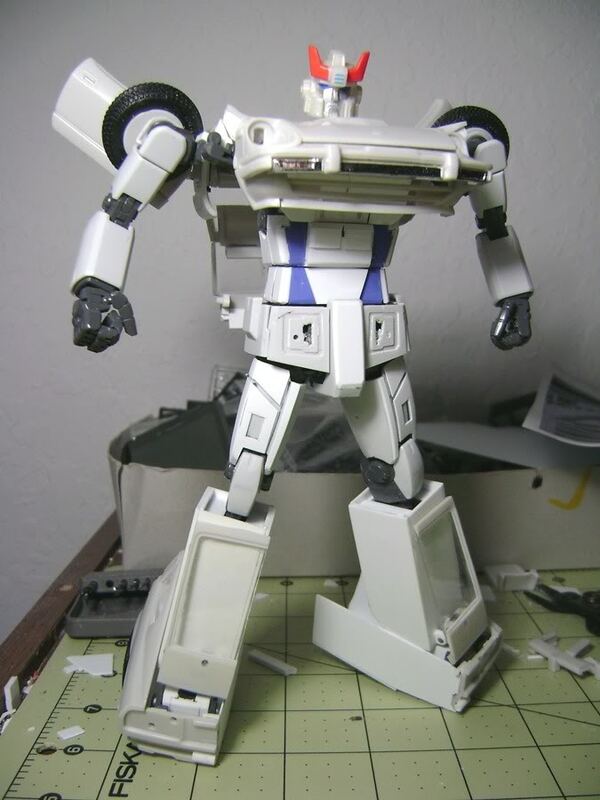 I've been working on an MP Prowl, completely scratch built, after seeing your Skids, but it looks like the master has beat me to the punch again! I'm not transforming the legs in exactly the same way though, mine is more like the Classics version so he has real feet, I couldn't work out how to do it this way. I'm aiming for blocky looking robot, slightly taller than the seeker moulds, how tall are you projecting yours will be Jarrod? Any chance we could see your sketches? Your's sounds really cool too, can't wait to see it! He'll be right around Seeker height; maybe a head shorter. As for the sketches, like I said, very rough, and although the upper part is obscured, its just some rectangle's drawn in to estimate how much room the legs and waist will take up in car mode. Got a good chunk of work done yesterday! As for the custom, already looks great, are you planning to do a little interior as well? 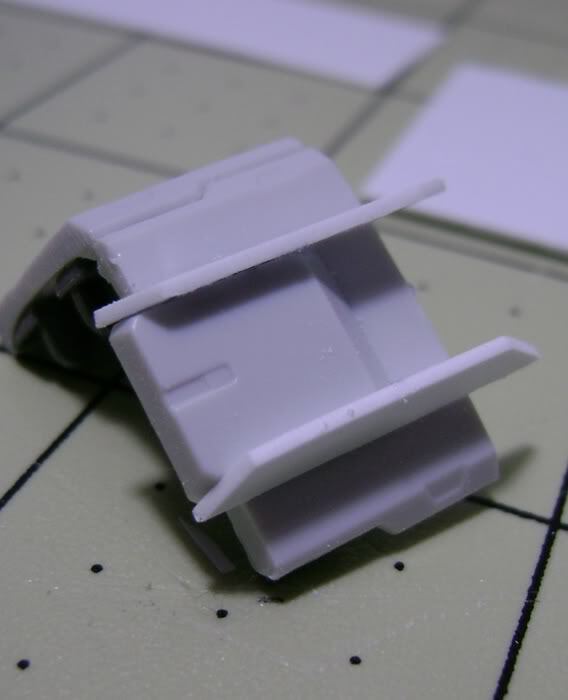 Maybe you can make the front seats fold to turn them in the side panels (now blue from Gundam)? Yep, there will definitely be an interior, although I'm thinking now that its gonna be about as much as MP Rodimus. Since this will be Prowl, what sirens will you be using for it? And will you light them up? I actually found PERFECT lightbars on eBay! While LEDs would be cool, I don't think I'll have any room left for wires and batteries. I see that you're likely to encounter a similar problem to myself, in that the legs are in the way of the rear tires. I've considered either thinning down the tires, or making larger wheel arches. Any suggestions? Actually, I've considered that already, and made the legs just narrow enough to fit the wheels in, and build a wheel well. The tires won't stick out, but they will be just flush with the outer wall. 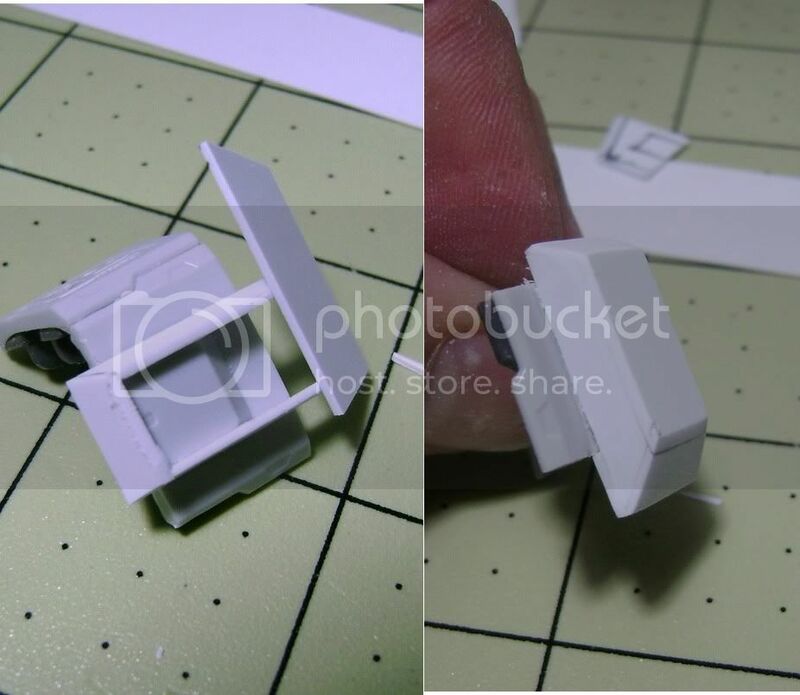 This is interesting to see how you're scratch building a smaller version of what I'm using Unicron for in my Smokescreen build. So the feet attach to the car body? How will that connect to the legs? Well, the feet were already all connected to the leg by the ball joint. There's definitely a lot of trail and error, but I often only show the successes! That's such nice work, you're breaking my heart man! Are you planning to alter the upper thighs? EDIT: Any chance you could provide a link to those mechanical arm things, they look like something I could make use of. 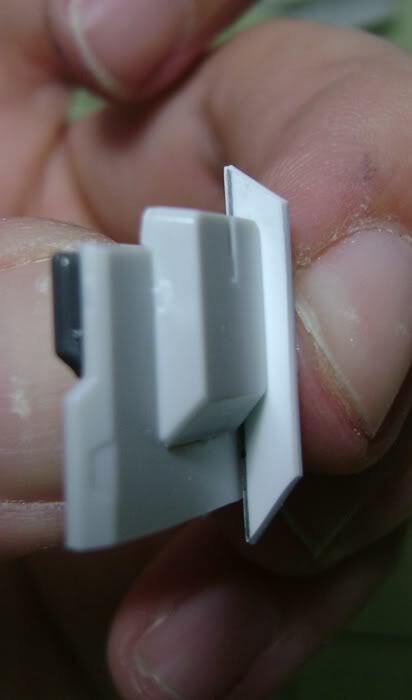 On a side note, I've also received some of Hobby Base/Yellow Sub's new Perfect Part Collection joints. These are all made of hard plastic, and come in ball and socket joints, and the standard cylinder type. The ball joints come in clear and grey, and the "Hexa Pipe" as they're called come in clear. And damn! I think Kotobukiya may be a thing of the past for me! These joints are amazingly snug and smooth. Seriously the best thing I've ever tried, and even better, since they're actually plastic, they can be glued and painted. They're more expensive, but totally worth it. The Roll Swing Joints are pretty awesome too. Order these things! Time to add some arms! Pop the arms back on, and there you go! With Alt Prowl head set on. Next up, actually attaching the head! I love seeing all the stuff you're doing to this figure! How much does this cost you total? I'm considering attempting to make a figure similar to this and I want to know how much I'm gonna have to save up. 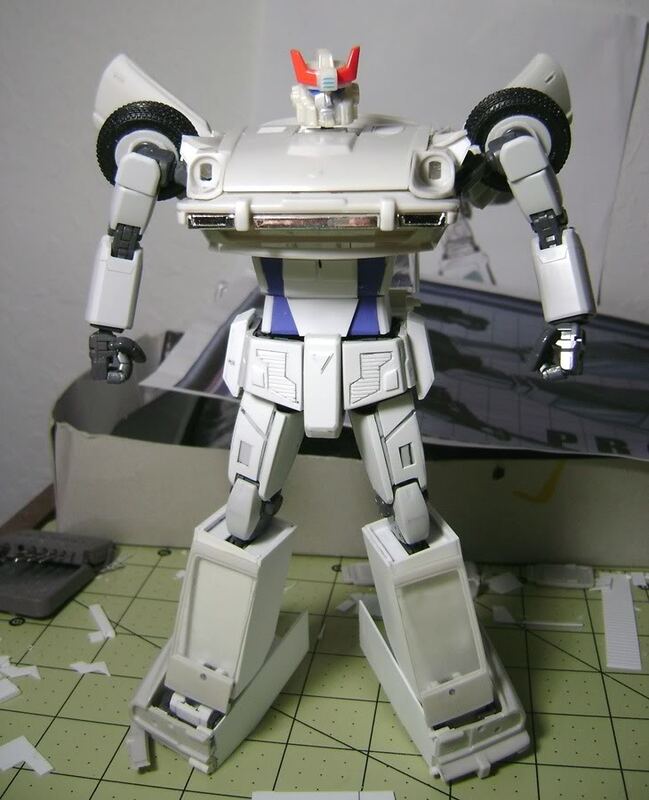 Well, the Datsun kit costs anywhere from $15-$40 on ebay, and you can find the Gundam kit for about $50 on various online sites. 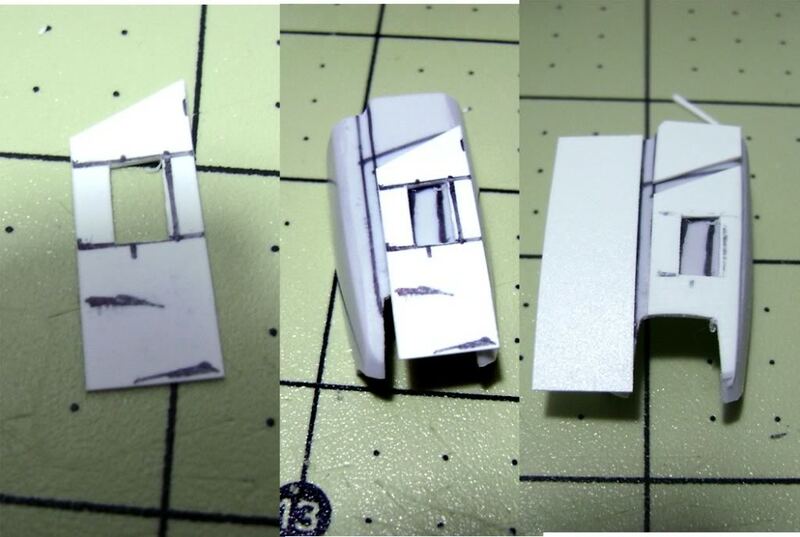 The joint units will run you $4-$5 a set, plus shipping from Japan or China usually, and I might use about $5 worth of styrene. Nice work! Interesting use of Hexa Pipe, I've been using it for a long time for the connectors on combiners. 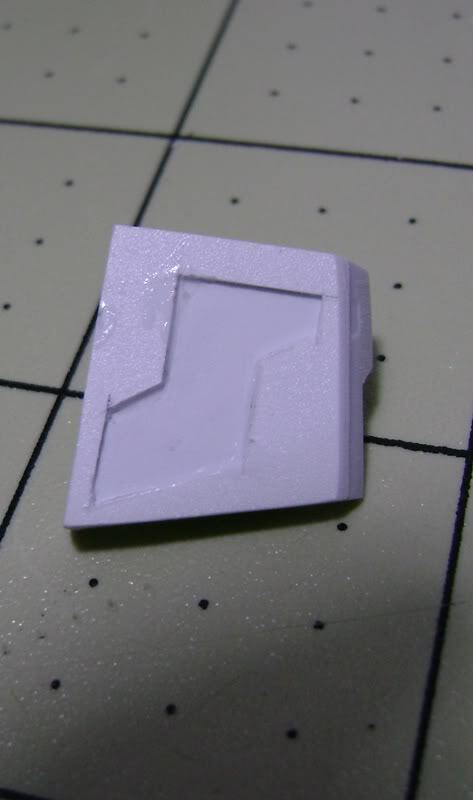 Beauty part about those is that they're small and easy to conceal, and you can cut up the sprue as the male connector. Yeah, they're fantastic. 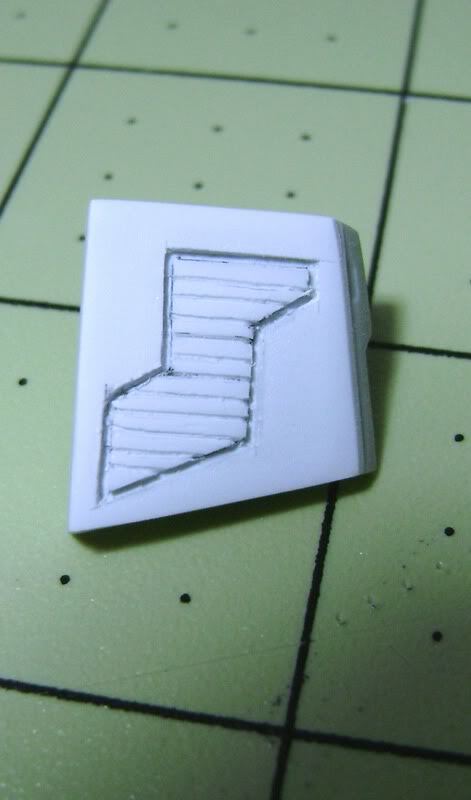 And yep, totally using the sprue here too! Here's how the ankle joints were built. . . . . and back to black. Here's the current car mode"
re: Evergreen styrene How much and how many do you buy? Really, however much I need. 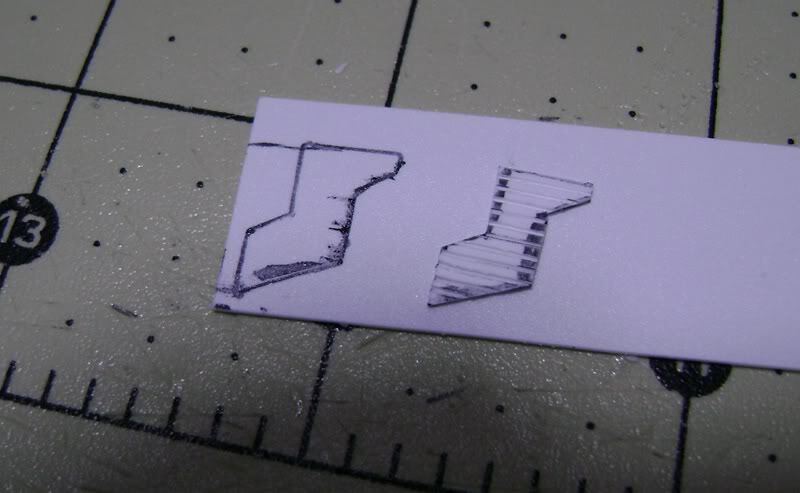 For Prowl, I'll probably use half a package of the three different sizes of strips I'm using, and maybe a sheet each of 1mm and .8mm. This [here is] working on building up the feet. Jarrod, Prowl is looking absolutely fantastic! What do you think about the wheels folding under the feet in robot mode? Is that something you looked into? Yep, definitely thought about it. Even did a quick mockup, but I just really didn't like the way it looked. But more importantly, I wouldn't have been able to build the frame the foot because the wheel would be in the way in robot mode. While the car lined up pretty good before, now it's quite solid! Back to robot mode! Something I've been wanting to work on for a while is filling in the chest area, but I need to wait until most of the car was done first. So, lets take a look under the hood in car mode. Yep, there's lots of room in there for some folding panels! I'll go back and add some surface details later, but just having those panels in helps the bot mode appearance greatly. There's another unsightly giant hole to get rid of too, the lower back! This is where the head sits in car mode, so a simple solid panel is out of the question. . . . . [so, it's] time for more folding panels! So, its about that time to start filling in gaps, and building up the details. First things I'm starting with are the wheel wells, gotta fill them. Next, I'm going to add the seats . . . or rather just the seat backs. There's very little room for any interior thanks to the waist, so I decided to go the Masterpiece Rodimus route, and just throw in the seat backs for looks. I was wondering what the tool is called for scribing? Id like to get one of them.. I'm pretty sure they're just called "panel line scribers". 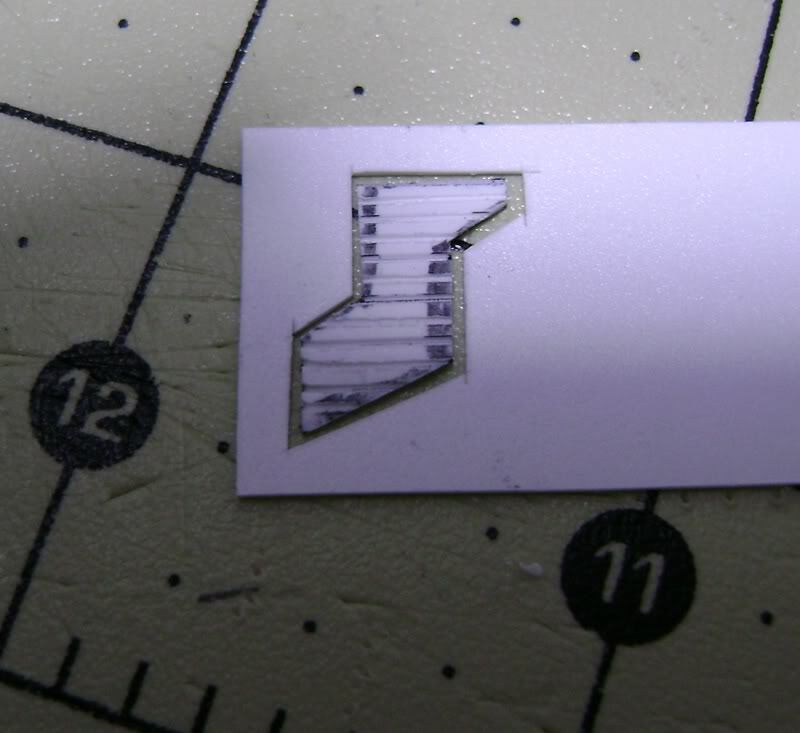 Seriously though, I mostly use this one: Introduction To Using Bare-Metal Foil - Bare-Metal Foil Co. The Bare Metal brand one cuts a great line, but can be a bit wide/thick and sometimes rough, so I wanna find one that cuts a thin, shallow line too. The shoulder needs a little extra bulk, too, but I'm pretty limited there due to space in car mode. 've got to go back and apply all the newly added leg and arm work to the other two. Haha, glad to be of help! Anyways, I usually just use whatever brand of CA glue ("super glue") that you find at the plastic model hobby shop. 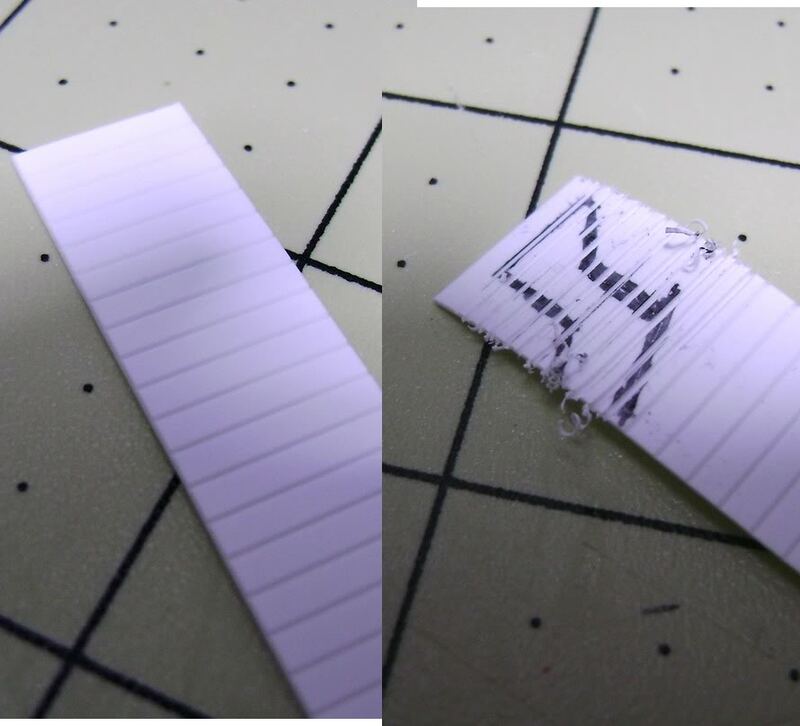 Currently I'm using Zap-a-Gap, and I always get the "medium" or "gap filling" variety as its a bit thicker and will fill in gaps as well as glue them together. Ack, I can't believe I've been working on these three for over a year now! To my buyers, I apologize for the time . . . so much happening in real life over the past year! But anyway, its time to finish these up! The head still [has] some putty drying, so in the meantime, I built the shoulder launchers. Amazing work!. I have to say, you along with a couple other people really have inspired me to do more scratch building from the styrene level up, and it is really rewarding even though its time consuming. I wish I had gotten to meet and talk shop with you when I still lived in Fl. Im assuming your going to cast the head for the multiples your making? It is definitely time consuming, but there is something very special about being able to say, "I made that! And nope, no recasting; surprisingly I have no idea how to recast stuff, nor do I want to put the effort into learning. So beautiful! what tool did you use to cut out the face? So clean! 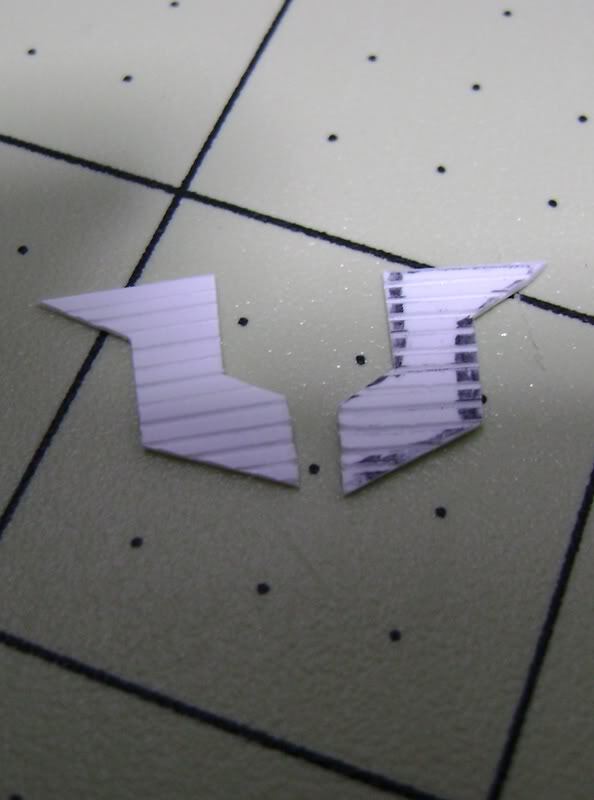 I just used my modelers knife; lots of small, careful cuts. Still got LOTS to do, but all the main colors are there on this one. 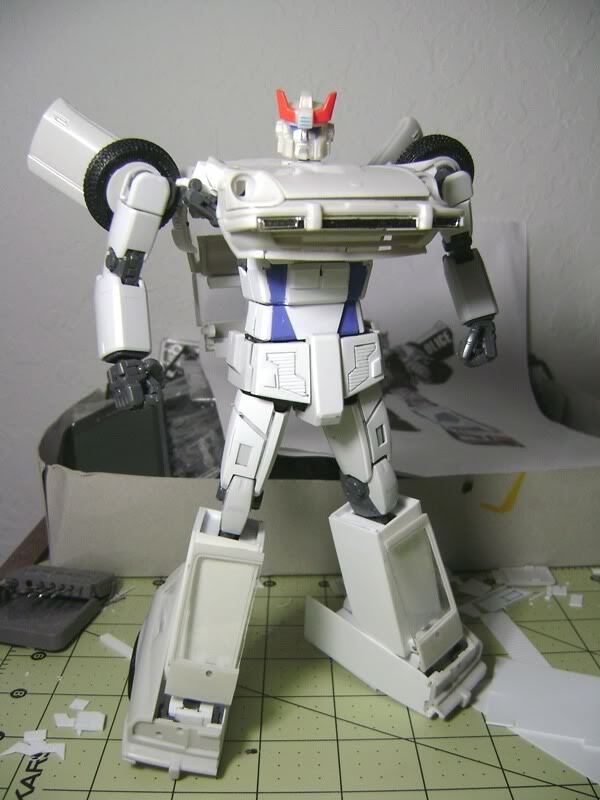 Alright guys, lets talk about how what went into painting Prowl. I airbrush all of my paints, and for the most part, strictly use Model Master Acrylics. I like their finish and color selection, plus the ease of clean up, and the far less obnoxious odor. For a few special circumstances, like Prowl here, I'll use Tamiya Spray cans. Tamiya's spray cans are, quite simply, the best paint I've ever used. The finish is always perfectly smooth, and the gloss is always high-gloss. Plus the finish is so tough, it creates a nice strong shell. Next up, painting the black robot parts. I'm using Model Masters Semi-gloss black, since it always dries so amazingly smooth, and for whatever reason, is one of the toughest finishes of any Model Masters paint I've used. Most of the parts, I just straight paint, however one of the Prowl's will have black foot panels, I mask off the vehicle panels, so only the robot parts get painted. For masking off large areas, or areas where precision is not super important, I use some basic painters masking tape, usually the "medium hold" or "general purpose" 3M or Duck brands. After the black is dry, its time to paint the white. Now the masking fun begins! When precision is needed, or when I have to have a very crisp line, my ONLY choice is Tamiya masking tape. It has an amazingly fine edge, is very flexible, and comes off so very clean. To mask off the rear windows, I first apply a piece purposefully larger than window, and begin working it into the cracks using my fingernails and a toothpick. Then I cut away the excess, and press it down firmly. Don't forget the inside of the window too! Now its time to paint the black along the lower portion of the car. The shell of the car is pegged together to make sure it all lines up properly. And some more chrome work . . . .
How does that chrome hold up? Do you have to put a coat of something over that to protect it? Love this thread! I usually put a layer of Future over it, yeah. It's a lot stronger than say, silver leafing, but its still just a stick-on foil. For the tail lights and stuff, the clear paint will work great as a protector. I make my own decals in Microsoft Photodraw - yeah its a super-old program, but I know how to use it, and its easy for me to navigate! I use Experts Choice decal paper, made by the Bare Metal foil company pretty much because that's what my local shop carries. The decal paper comes in standard 8.5x11 in sheets in both white and clear and is made for inkjet or laserjet printers. Once the images are printed and dried, simply spray on some Testors Decal Bonder, and you've got yourself some custom decals. Anyway, Prowls set is pretty simple, the shield and chevrons were drawn up in the Photodraw, and the Autobot symbol is just some colored lineart I found on the web years ago. The rest is pretty much just text. After this, I'll go back and touch up little spots here and there - nothing really "document worthy" ( . . . . and here's how I paint this little corner that rubbed off . . . .). Then I'll brush on some Future to protect the decals and seal the paint job, and they're done! Well, after over a year, and some VERY patient awesome guys, the trio is finally finished! I've got over 100 photos here, so I wanted to make sure I got everything! Please click each of the thumbnails below each post to see them all. Not every photo will be included in the body of the post. There are three (3) different Prowls represented below. In vehicle mode they are all near identical, save for the Autobot symbol on the one rear window. So, the vehicle mode shots are a mix of all 3, if you happen to notice any inconsistencies. Prowl #1 features a toy accurate paint job in robot mode, Prowl #2 is mostly toy accurate with some extra white on the feet, and finally Prowl #3 is heavily cartoon accurate. Robot Mode, continuing with #2. Just some random close ups and alternate shots. There might be some doubles in here from the previous photos. And well, that's it! Thanks to everyone for looking, and thanks for all the kind words over the last year! I try to say this often, with some practice, anyone can do this. It just takes patience and [a] willing[ness] to learn/try new things. I continually challenge myself and push myself to try something difficult; sometimes it works, [and] sometimes it doesn't. I still make lots of mistakes, and learn something from each project I tackle. The materials are actually very easy to work with. It's more learning how to make the mechanics work, which after playing with transforming robots pretty much my whole life, I guess I picked up a few things. Like I said earlier, it's just thanks to lots of practice.